Owning a rental property can return cash and tax advantages in several ways. You should have rental income after direct expenses, insurance, and property taxes, and you can take a depreciation deduction to offset the taxes on that income. Then there's that all-important mortgage interest deduction. Most business owners share these tax perks, but the finer details can differ a bit at tax time. Rental property owners file Schedule E with their tax returns, whereas most self-employed business owners file Schedule C. This means that slightly different rules apply. The first step in reducing your rental income for tax purposes is understanding exactly what rental income is. The Internal Revenue Service defines it as any payments you receive in exchange for the occupation of a property that you own. This includes monthly lease payments as well as security deposits that you don't return to the tenant. Perhaps your lease allows you to deduct from the security deposit to make certain repairs forced by damage done to the property by the tenant. These amounts become rental income in the year you take the deductions. The same applies if the security deposit represents a first or last month's rent. This is reportable income to you. By the same token, if you accept a security deposit and it sits untouched in a trust account during the entirety of the rental term, this isn't income, nor is any interest the deposit generates. The interest belongs to the tenant. Using an example property purchased for $325,000 with a $260,000 loan, we'll assume that mortgage interest would amount to approximately $16,000 in the first year of the loan. 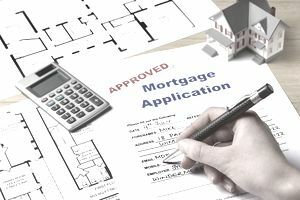 Should that owner have rental income of $36,000, taking a $16,000 deduction for the mortgage interest reduces his taxable rental income to $20,000—a significant difference. The Internal Revenue Service is effectively helping him to keep this property while it appreciates in value, enjoying a positive cash flow with less tax liability at the same time. Deductible interest does not just apply to mortgages. Any loans you must take out can qualify, even credit cards if the related charges are incurred by your rental property. You can also claim a deduction for other business expenses, pretty much any you incur in the operation of your rental enterprise. If you run ads for tenants, you can deduct this cost. If you pay for hosting or for a website for your properties, you can deduct these expenses as well. Maintenance and regular repairs—but not major work that must be depreciated—are tax deductible, as are expenses when you're in between tenants, such as painting. You just can't deduct the costs of actual improvements made to your property that increase its fair market value. If you hire professional management companies or pay an attorney and accountant for services related to your properties, this is deductible. You can even deduct mileage expenses driving to check on your properties if you keep track of them. The IRS rule is that your expenses must be "ordinary" and "necessary" to be deductible. This means that they're incurred by most landlords and that you really couldn't invest in rental properties without paying them. You can also deduct an expense that you haven't actually spent any money on. In many cases, the IRS will let you depreciate the value of a structure, although not the land, over 27.5 years if it's a rental property. Let's say you own a rental home that you bought for $187,000. The land is valued at $37,000, so your structure is worth $150,000. Divide that by 27.5 and you get a $5,455 annual depreciation deduction. You can, therefore, deduct $5,455 as a depreciation expense each year of ownership. Of course, no gift from Uncle Sam comes without a glitch. Some or all of your depreciation might be subject to recapture if you eventually sell the property at a profit. You owe the current rate of capital gains taxes for the year of the sale when you sell stock shares at a profit. It's the same for most other investment assets as well...but not for real estate investments. The rules are complicated, so you'll most likely need an accountant or a 1031 Exchange company to apply the exact details to your personal situation. But if you roll all the profit of the sale of a rental property into another property within a specific timeframe and according to certain guidelines, you typically will not have to pay capital gains on that profit. You can pass your gains forward until the time of a final sale.